Roll into action! 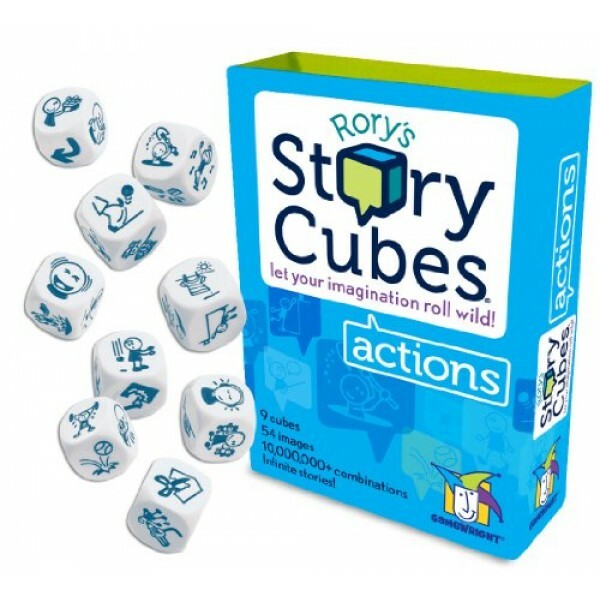 Rory's Story Cubes Actions features 9 pocket-sized cubes that illustrate 54 everyday verbs. Play with them solo or combine them with other sets of Rory's Story Cubes to kick-start your creativity and set your stories in motion! 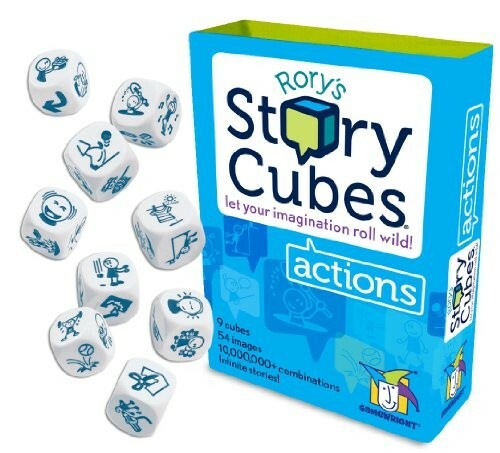 Rory's Story Cubes are also available in two more fun versions: Rory's Story Cubes, the original creative story generator and Rory's Story Cubes - Voyages, designed to inspire stories of epic adventures.